Virginia International University (VIU) and the University American College Skopje (UACS), located in the Skopje, Republic of Macedonia entered into an Academic Collaboration on June 18, 2012, during a signing ceremony hosted at VIU’s campus in Fairfax, Virginia. The agreement focuses on on educational and scholarly cooperation between the universities, as well as in research and other mutual interests. The agreement between the two institutions of higher education opens the door for faculty exchange, student exchange, and equally important – the exchange of scholarly thoughts and ideas in the form of research, conferences, and more. Further, the collaboration opens the door to potential joint-ventures between the universities. VIU is excited about the opportunity to work with universities beyond our borders and to engage in the promotion of higher education alongside the University American College Skopje. 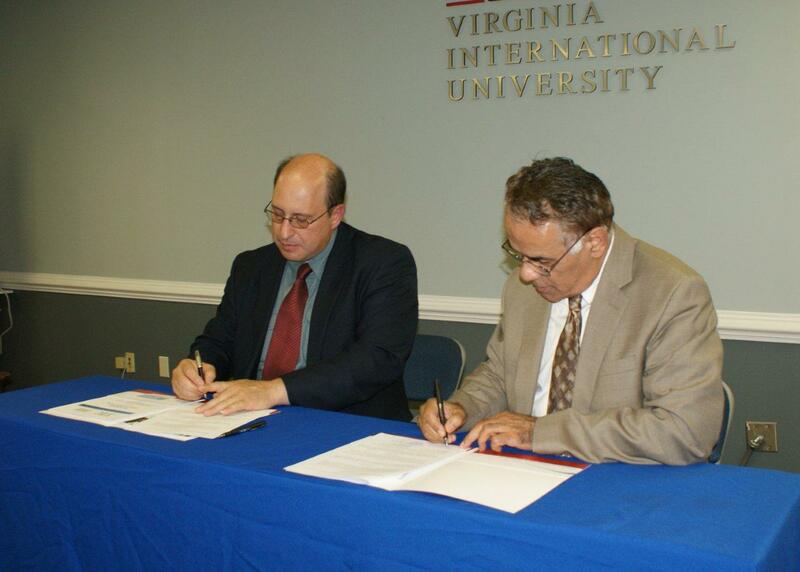 Virginia International University is located in Fairfax, VA near Route 66 and Fair Oaks Mall. VIU offers residential and online undergraduate and graduate degrees and diploma and certificate programs in business administration and computer science, a four-level English as a Second Language program with TOEFL and TESOL preparation, and continuing professional education. 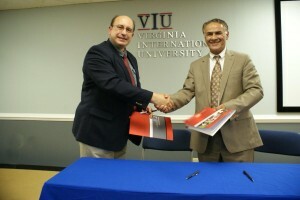 For more information about any of the programs of study offered, please visit the Virginia International University website at www.viu.edu. For additional information about the VIU’s programs, admissions requirements and scholarships, please call 703-591-7042. The University American College Skopje is located in Skopje, Republic of Macedonia. The university was founded in 2005 and offers programs in business administration, political science, foreign languages, economics, management, computer science, and law. For more information about UACS, please visit their website at www.uacs.edu.mk.